Here are some facts about Romania. 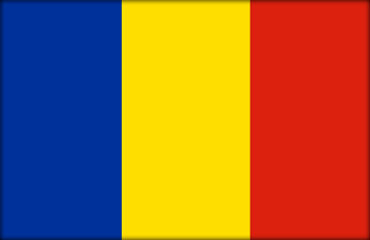 Romania is a country in Eastern Europe, bordered by Hungary, Bulgaria, Ukraine, Serbia and Moldova. It is the 7th most populous country in the European Union with a population of 20 million. The capital and largest city is Bucharest, which became the country’s capital in 1862. It was known as Little Paris between the world wars, because of its elegant buildings. Romania became a Communist country after World War II. A violent revolution in 1989 was one of the few in Europe which successfully resulted in the end of Communist rule. The Romanian city of Timisoara was the first in Europe to have electric street lighting, in 1889. It was also the first European city to have horse drawn trams. Brasov’s Black Church has one of Europe’s largest organs, with 4,000 pipes. The country is also home to one of the tallest wooden churches, the 93 metre tall Sapanta Peri monastery. Bucharest’s Parliament building is one of the largest buildings in the world, covering 330,000 square metres. The city also has the fourth largest mass transit network in Europe, carrying over 600,000 people each day. The famous novel Dracula was inspired by the real life Romanian ruler Vlad Tepes. Bran Castle is often called Dracula’s castle and has become one of the country’s most popular attractions. Romania has one of the largest populations of gypsies in Europe. The Carpathian Mountains are one of the largest unspoiled regions in Europe. About 60 percent of Europe’s black bears live there, as well as 400 other species of mammal. The popular toy the Rubik’s Cube was invented by a Romanian (Erno Rubik). A Romanian scientist (Nicolas C. Paulescu) was the first person to discover insulin.